Exeter Racecourse are showing their support and holding a charity collection day for BASICS Devon on Tuesday 24th April 2018 gates open from 11.40am, the first race is at 1.40pm until the last race of the day at 5pm. 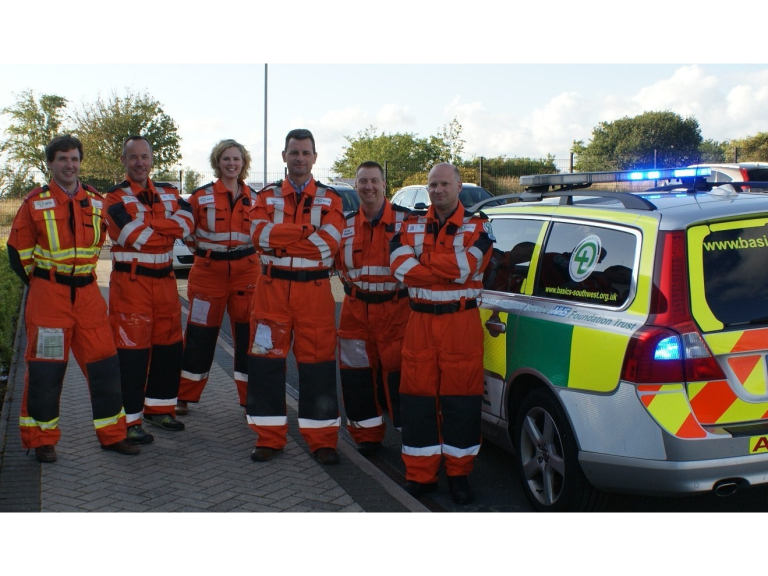 BASICS Devon volunteer Emergency Doctors will be in attendance at the races with their collection buckets hoping to raise vital funds to secure much needed equipment to help save local lives. BASICS Devon (British Association of Immediate Care) is a registered charity providing a network of emergency volunteer Doctors that provide immediate access to specialist medical care for severely ill patients across Devon. We rely solely on donations and with call outs increasing by over 30% we hope to raise vital funds to ensure we can continue to provide such an invaluable service in our local community. These volunteer NHS doctors, make themselves available around the clock throughout the year. Giving up their spare time, they respond to incidents at the request of the South West Ambulance Service NHS Trust (SWASFT) using their own vehicles, covering a population of 1.1 million across one of the most rural counties in the country, and 30% of their missions have been carried out in the dark. Small medical equipment such as a CapnoTrue ASP device for children and adults that monitors oxygen levels and pulse rates that costs £120 each and BASICS Devon need 12, they are also aiming to put funds towards an End Tidal Carbon Dioxide Monitor which costs £9,500. This device monitors a patients’ breathing and oxygen levels and can be used at any emergency incident for very sick and injured patients.